Want to help flood-affected communities? Join our team today! August 6, 2015 – Over 100,000 children don't have sufficient food and access to clean drinking water because of ruined crops and contaminated water wells in flood-affected Myanmar, warns Save the Children. Flooding triggered by heavy monsoon rains and Cyclone Komen have left at least four states and divisions in Myanmar under water, prompting the government to declare natural disaster zones in those areas. At least 150,000 people, including 60,000 children, have been affected by intense flooding in Myanmar. 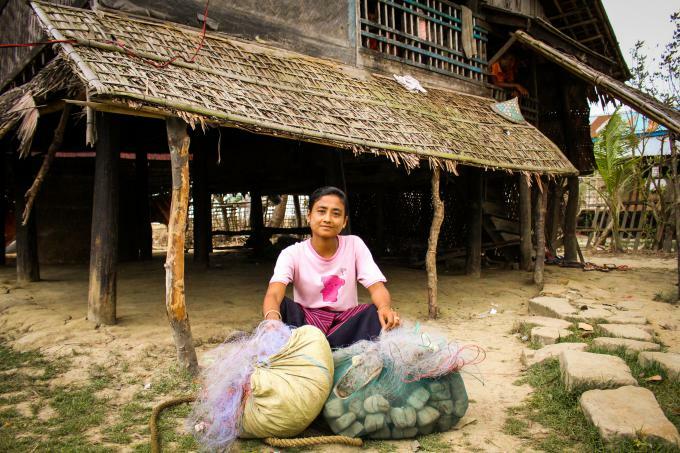 In Sai Toke Village of Rakhine State, Ma Khin Saw works odd jobs like rearing pigs, tailoring and selling fuel, while her husband works as a fisherman. The busy schedule to keep themselves financially afloat takes quality time away from their child. What the family needed was a little bit of help to pushstart themselves into a better position.